Consumers for Quality Care is first and foremost about you — and all of the consumers demanding better care. Add your voice and join the conversation. A new survey from Ipsos on behalf of Consumers for Quality Care (CQC) has found that no matter income level, age, gender, race or political identification, Americans are almost universally worried about the cost of health care. They want more predictability in their health care costs, and they may be willing to pay more upfront for higher quality insurance coverage and prescription drug benefits that will be there for them when they need it, over junk plans with minimal coverage. In fact, when given a choice, 81 percent would rather pay more on a monthly basis for a health plan that has comprehensive coverage with minimal fees when they need treatments, versus just 19 percent who would rather pay less on a monthly basis for a health plan with skimpy coverage and pay large fees for needed treatments. Surprise hospital bills, after-the-fact emergency department denials and other unexpected and unpredictable out-of-pocket costs are an acute concern. Americans want lawmakers to take real steps to alleviate these problems associated with using their health care, instead of just paying lip service to the issue. 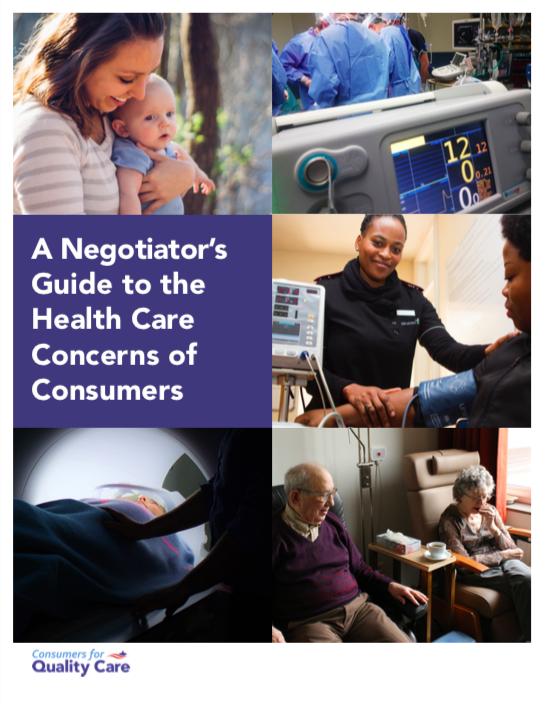 While President Trump revives talks of ACA repeal, Consumers for Quality Care has developed a Negotiator’s Guide based on these latest findings to give Members of Congress and administration officials a clearer understanding of what consumers want them to tackle when it comes to health care. Read more about the findings of our latest health care survey here.